Welcome to our May eNewsletter! It is nearly summer here at Twin Eagles, and the amount of intense growth happening on the landscape is staggering. Our year long programs are coming to a close with many grand celebrations and final challenges. Right now as I write this our Wilderness Immersion Program is in the midst of a wilderness survival quest up in the mountains. Our summer camps are more popular this year than ever before, as we have already surpassed last years enrollment with 180 kids currently registered for camps this summer! We're grateful for all the growth, and your support that helps make it possible. 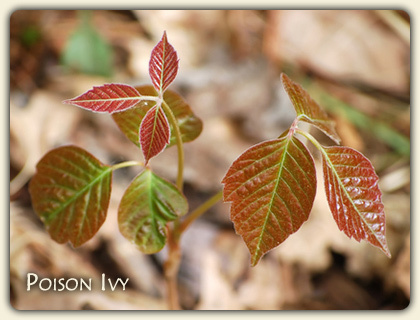 A simple, quick, and effective poison ivy treatment. Isn't that what we all want? The first time I got that nasty red rash I promised myself I would find this kind of poison ivy remedy. And because I have known the pain of poison ivy I've told myself if ever I have the opportunity to share what I know about it that I would. So here I offer you some information and a poison ivy remedy compendium should you ever contract it yourself. Can you guess the best way to deal with poison ivy? Click here to find out! This past month at the Twin Eagles Wilderness Immersion Program has been like a grand celebration, with one big, powerful intensive after another. First it was the bird language intensive, led by the one and only Alexia Allen, where participants entered the subtle world of the language of the birds. It is one of those experiences that most modern human beings simply have never experienced, or even considered. But our earth based ancestors literally relied on this skill for their very survival, and it led to their unbelieveable feats of awareness. Juncos in the cedar forests alarm intensely giving us warning of the incoming sharp shinned hawk. Song sparrows in the wetland give away the lightning fast movements of the short tailed weasel. Robins in the open meadows reveal a slinking coyote looking for a meal. To enter into this world is fascinating, deeply quieting, and powerfully connecting. Then it was our second permaculture week, as students worked on their design projects here at Cedar Springs and began to bring them to life with projects on the land like installing swallow houses, bat houses, planting hugelkultur beds, and more. 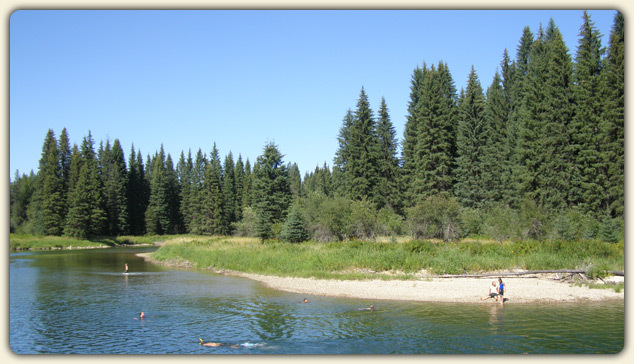 What a joy to give back to the land knowing that we're bettering it for future generations! Last week we had our scout intensive, and right now students are high in the mountains for one of their final challenges of the year, a wilderness survival quest. They are putting their physical skills to the test, going out into the wilderness with nothing but a few clothes on their back. They have to procure warm and dry shelter, make fire primitively without so much as a metal knife, harvest clan water, and gather food. It is a test that they have been preparing for all year. But on a deeper level, they are questing for something more. Through the powerful connection with the Earth, they're receiving insight into themselves as a group and as individuals, connecting with their deepest passions and callings, their true self. The experience will serve as a landmark not just for this year, but for their entire lives, as it gives them insight into their place here on the Earth. I'm honored to support such a journey. Interested, or know someone who might be? We still have room in the 2014 - 2015 program year. 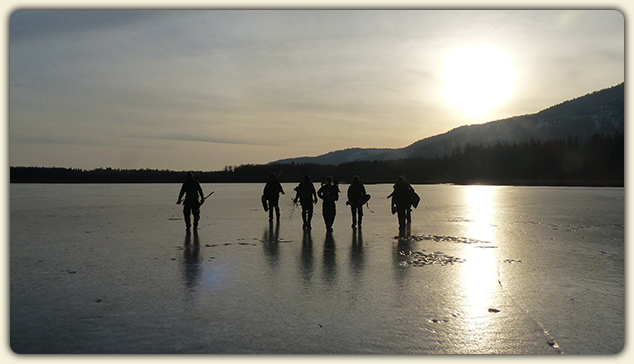 Learn more about the Twin Eagles Wilderness Immersion Program here. We currently have 180 kids enrolled in our summer camps, which already has surpassed last years enrollment record! Some camps are full, and most have only a few spots left. Enroll right away if you wanting to have your kids participate this year, while there is still time! "Through my son's participation in Twin Eagles, what I have seen grow most is a tremendous amount of respect. Watching his awareness of nature, people and everything unfold is just beautiful. His excitement in everything he learns and experiences - his yearning to learn more - has grown vastly. Thank You!" Day Camps for Kids - for ages 6-14 - with themes! Lead Instructor at our nine month long transformational Twin Eagles Wilderness Immersion Program for adults. We also have volunteer assistant instructor positions available at our very popular summer camps. Thanks for reading, and may you enjoy these beautiful days of late Spring!